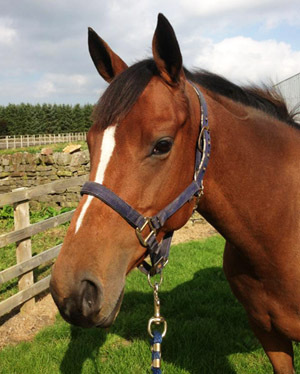 Redesdale Equestrian is situated in the picturesque surrounds of the Redesdale Valley between the villages of Otterburn and Elsdon and within a 40 minute drive of Newcastle, Hexham and Alnwick. We are fully insured, licensed and Local Authority approved to provide riding lessons for adults and children of all ages and abilities, as well as pony care sessions and stable management training to complement your riding. We also offer private and semi-private escorted trekking for experienced riders. We offer livery, breaking, schooling and competition services for all types of horse, as well as training grassroots and leisure riders with their own horses. Our yard is home to an array of horses and ponies, from riding school ponies to happy hackers and competition horses. All of our four legged (and two legged!) friends have their needs individually catered for in a relaxed, friendly and professional environment and we pride ourselves in providing the highest standard of equine care and customer service. What’s going on at Redesdale? 15.2-16.2hh proven schoolmaster for small riding school. 8-12 years and gelding preferred. Must be safe, quiet and easy in every way. No vices or hangs up, no ifs or buts. This needs to be a horse that instills confidence in novice or nervous riders. To jump courses up to 90cm and hack in open countryside in small groups. Pea Pod and Charlie survived a very wet, cold, foggy and muddy first run at Dalkeith at the weekend. Pea Pod battled through the worst of the weather earlier in the day with some SJ rails on the floor but a solid xc performance full of confidence. You must all be developing webbed feet! You don't need that in April!! Your beautiful horses look very cosy inside. Paul Hayles treat Rachel Hayles! Ahh man, if mark hadn’t have been coming I would have had it and got him then!